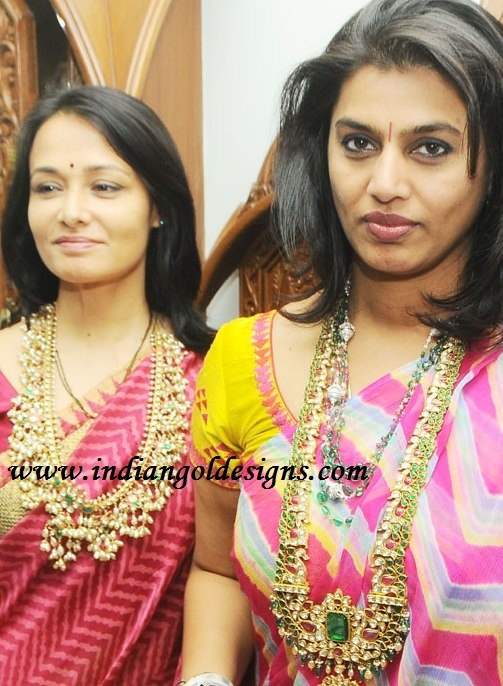 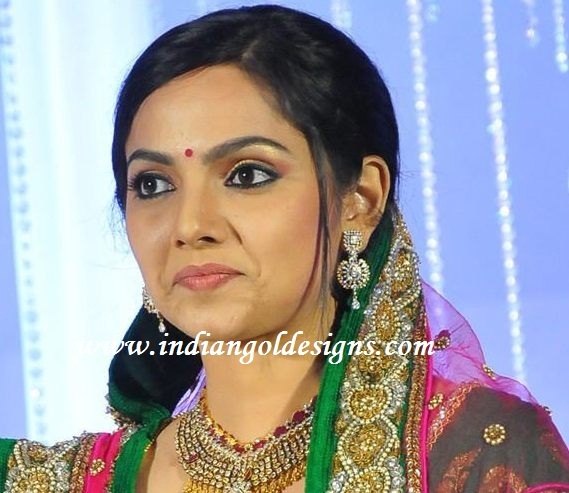 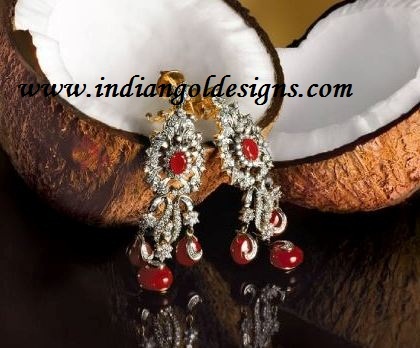 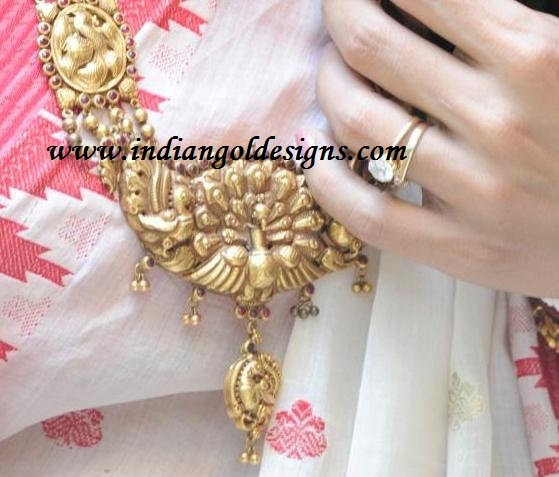 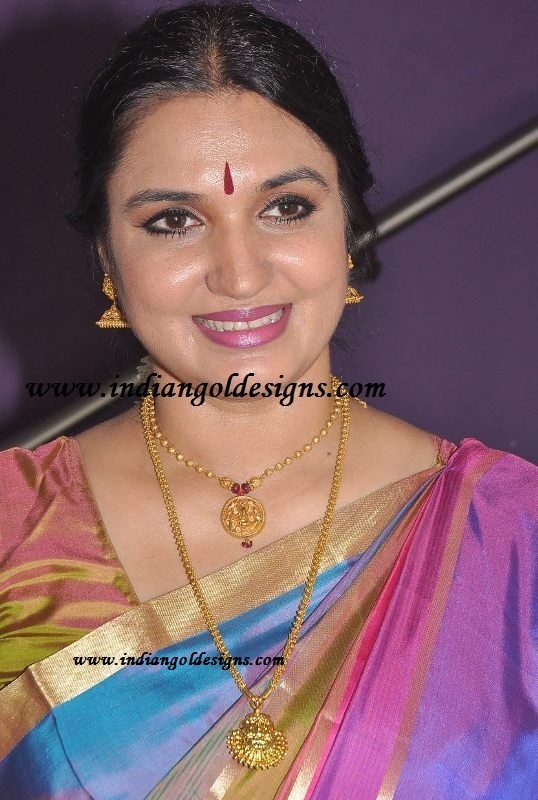 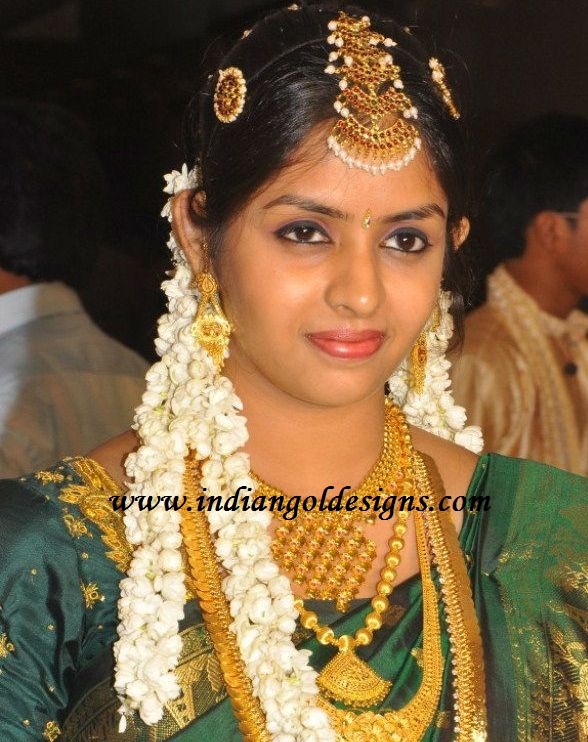 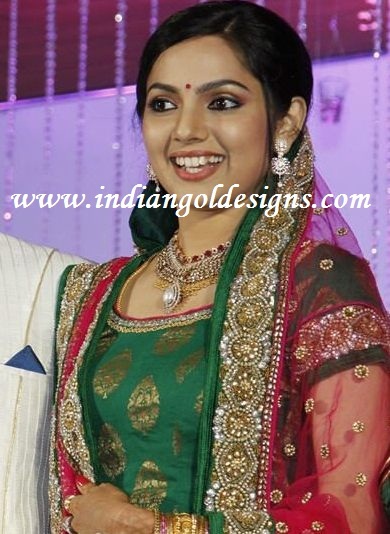 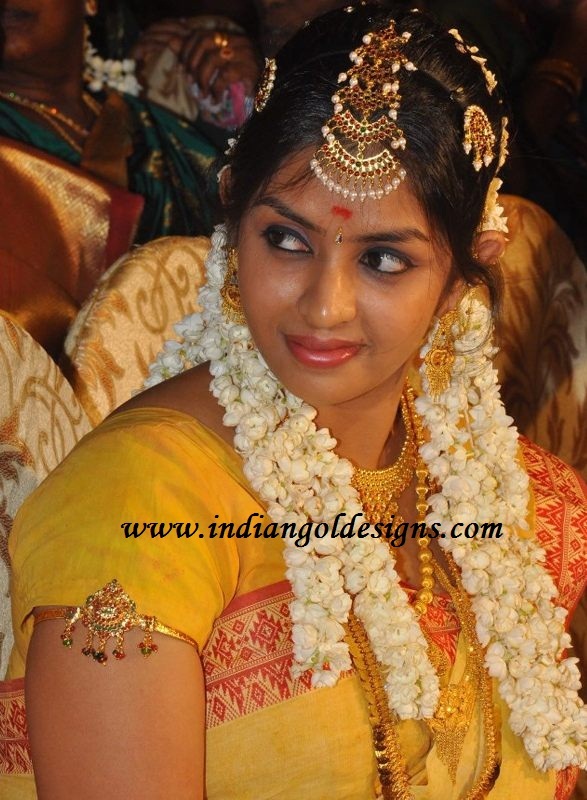 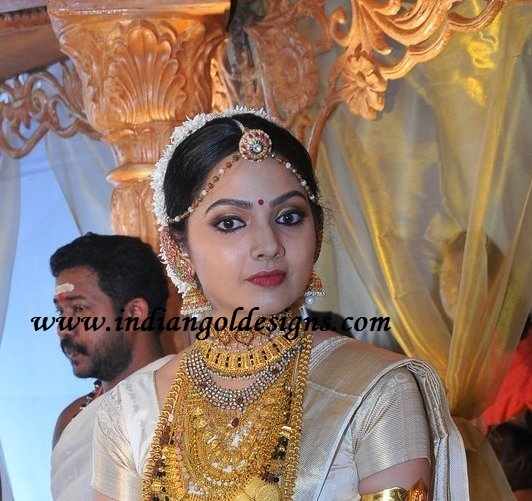 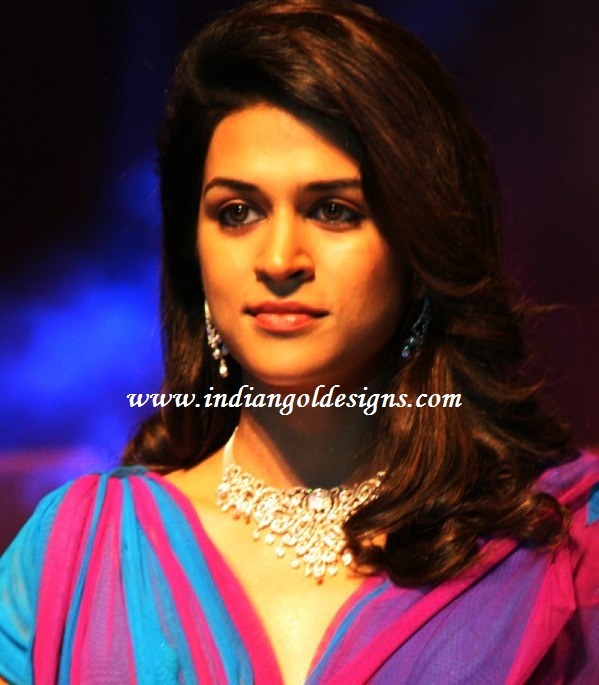 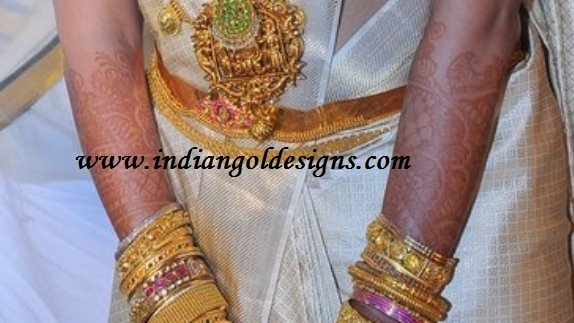 Checkout beautiful south indian gold bridal jewellery. 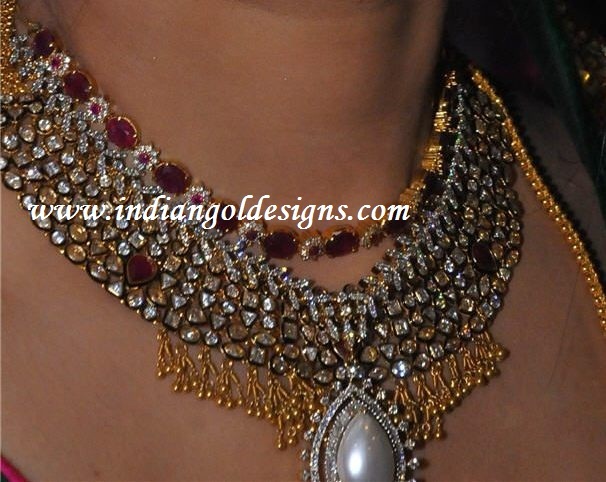 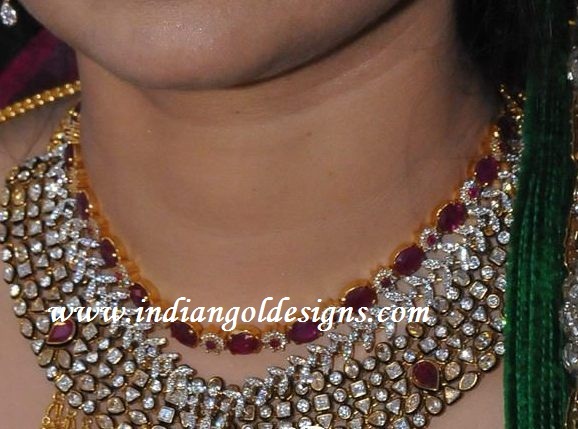 Gold choker necklace with pearls ,uncut diamond necklace with rubies, gold long haars and head jewellery and jhumkas. 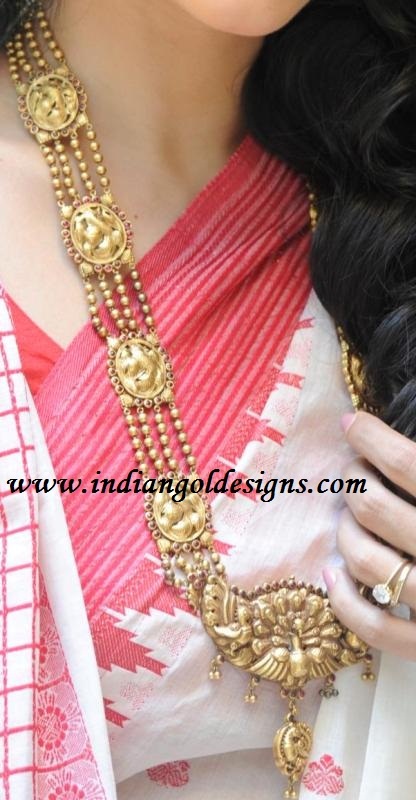 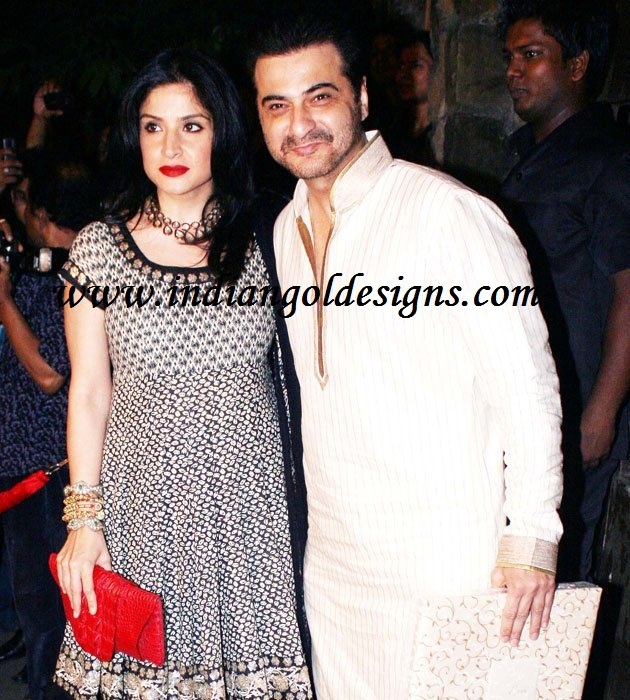 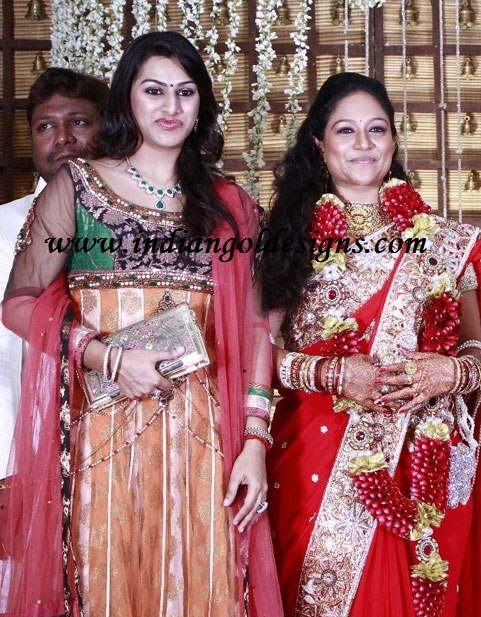 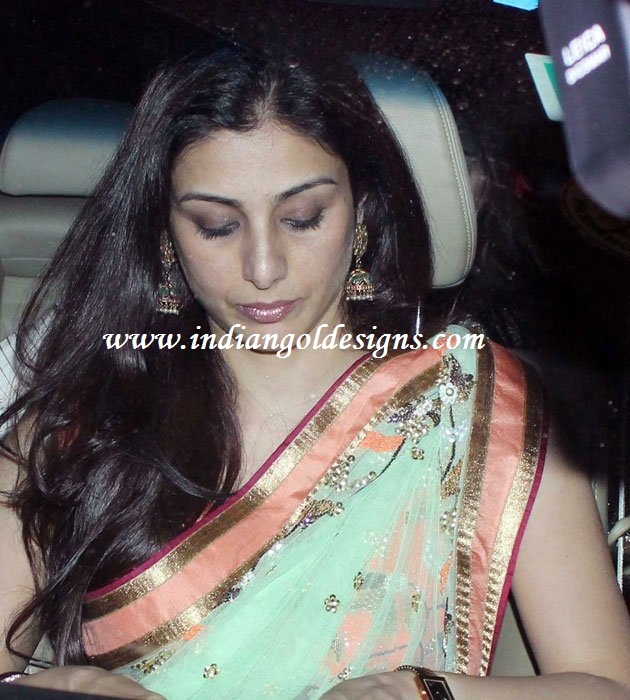 Checkout kajol in amrapali gold antique jewellery. 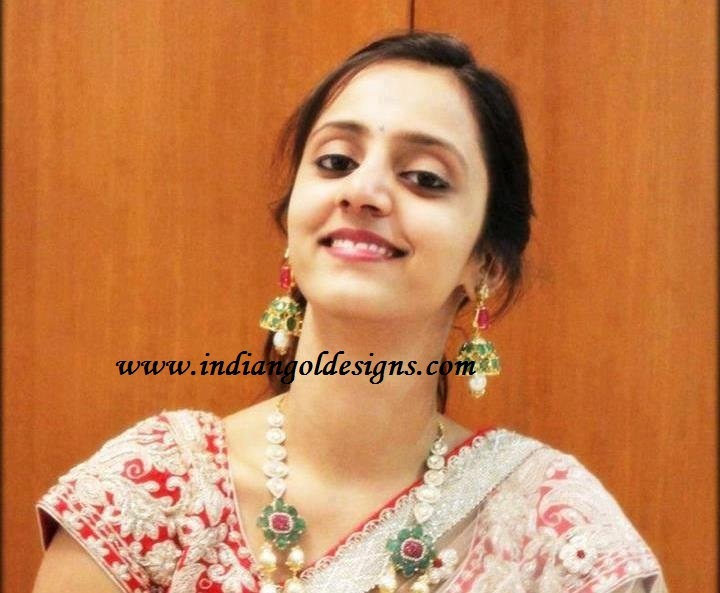 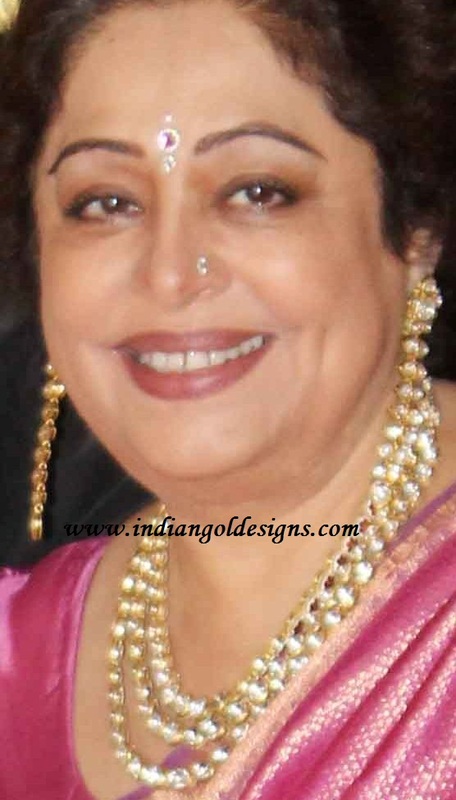 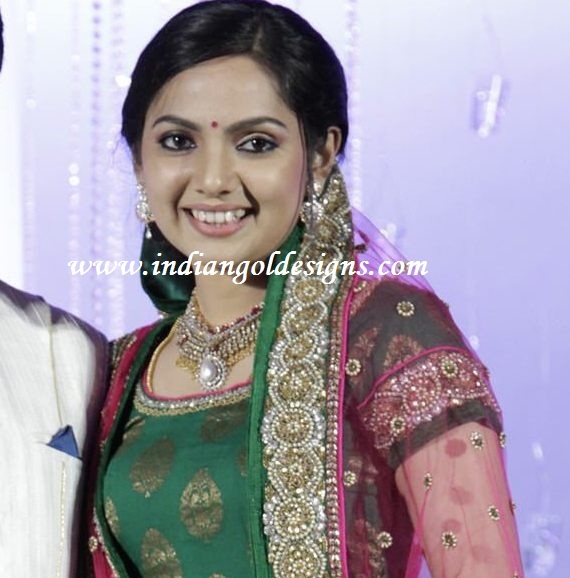 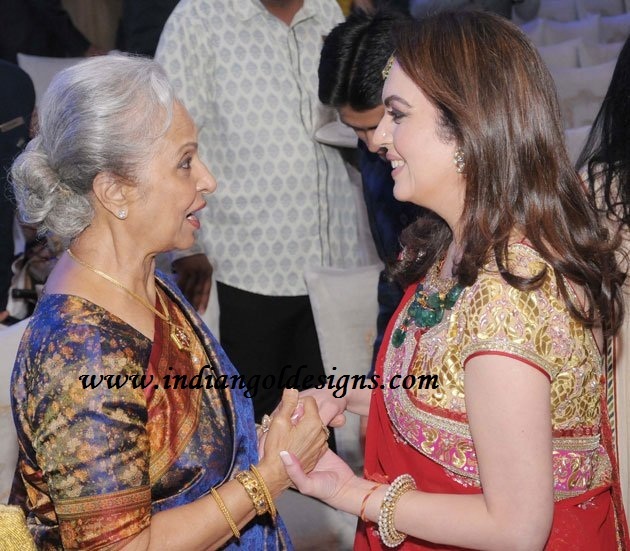 checkout pink reddy in gold emerald long haaram with pearls and rubies . 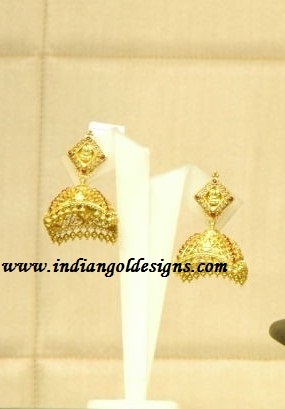 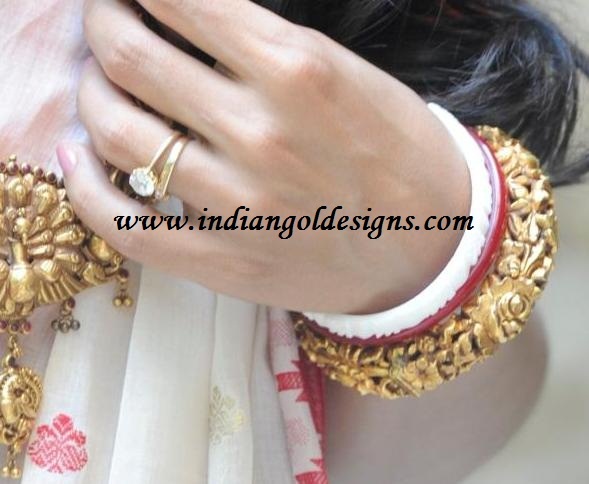 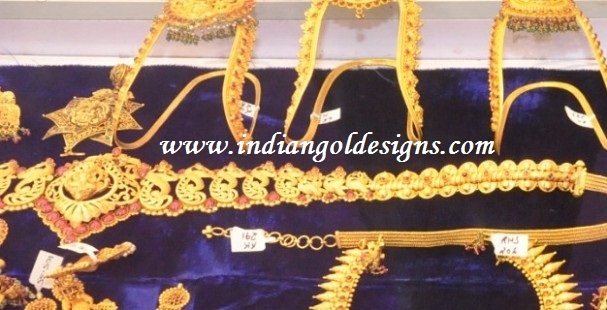 checkout 22k gold temple bridal jewellery . 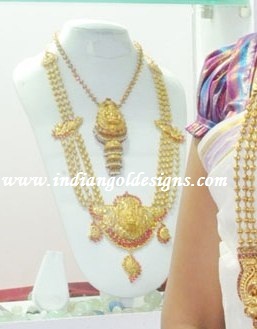 lakshmi devi short necklace paired with lakshmi devi long haaram.